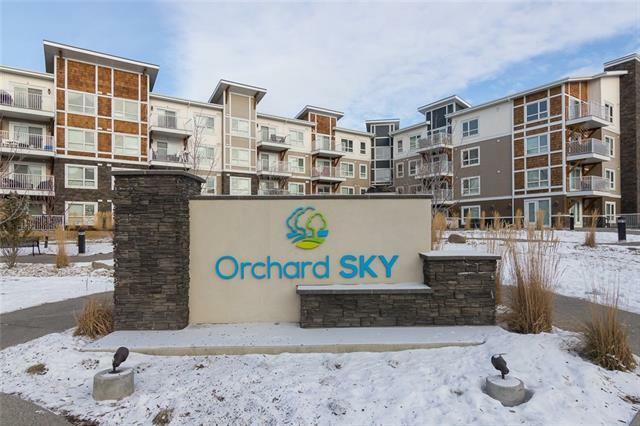 Welcome home to Orchard Sky by Truman! This Fabulous open concept will not disappoint. 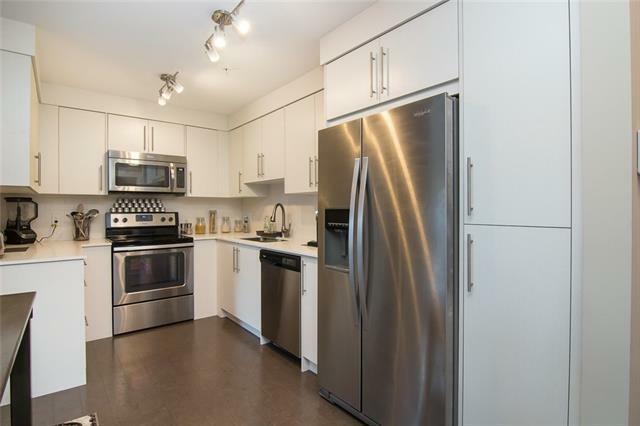 Upon entry you will be greeted with stunning cork flooring throughout the entire main area, the beautiful open kitchen has tons of cabinet space and even a built in pantry, the dining area is perfect for entertaining and carries through to the living room. The master bedroom has a 4 piece en-suite and his and hers closets with gorgeous built in's, a second large bedroom and another 4 piece main bath, it even has in suite laundry. The large balcony has a gas hook-up for the BBQ a great place to relax on the beautiful evenings. 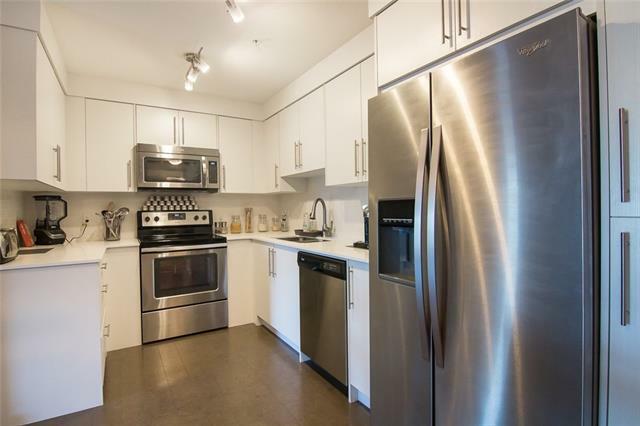 This unit comes with underground heated parking and a large storage locker. 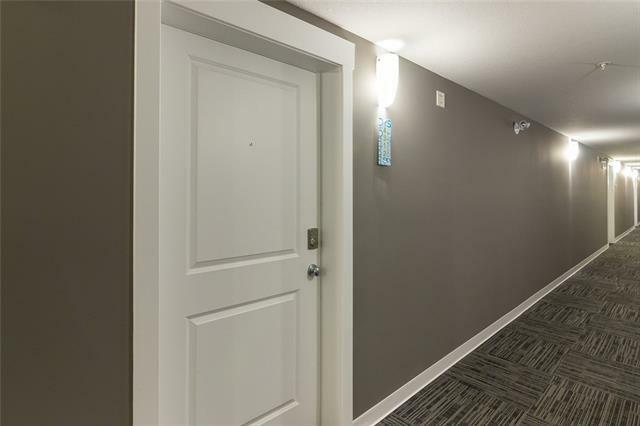 With quick access to amenities this is the perfect place to call home! Data supplied by CREB®’s MLS® System. CREB® is the owner of the copyright in its MLS® System. The Listing data is deemed reliable but is not guaranteed accurate by CREB®. The information provided is for consumers’ personal, non-commercial use and may not be used for any purpose other than to identify prospective properties consumers may be interested in purchasing. The trademarks MLS®, Multiple Listing Service® and the associated logos are owned by The Canadian Real Estate Association (CREA) and identify the quality of services provided by real estate professionals who are members of CREA. Used under license. The trademarks REALTOR®, REALTORS®, and the REALTOR® logo are controlled by The Canadian Real Estate Association (CREA) and identify real estate professionals who are members of CREA. Used under license. Data last updated: 2019-04-21T17:29:20.68.